Who doesn’t want a little luxury in their life? The UK’s BLACK is the perfect place to indulge, with an amazing collection of luxury scarves. This is a sponsored post. Opinions are always all my own. BLACK carries classic and chic scarves, made of only the most sumptuous fabrics available. 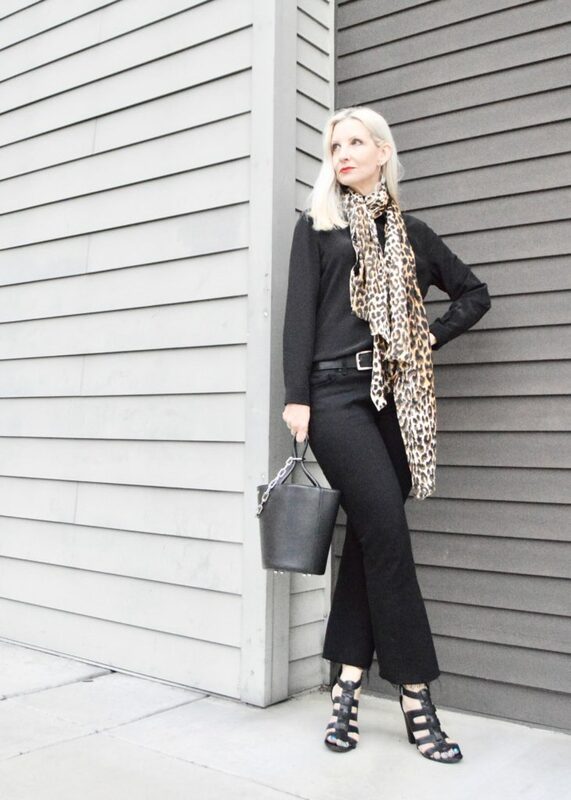 A luxury scarf from BLACK is something you’ll keep and treasure for years to come. Some of you may remember I modeled this gorgeous red scarf with black trim around the holidays. 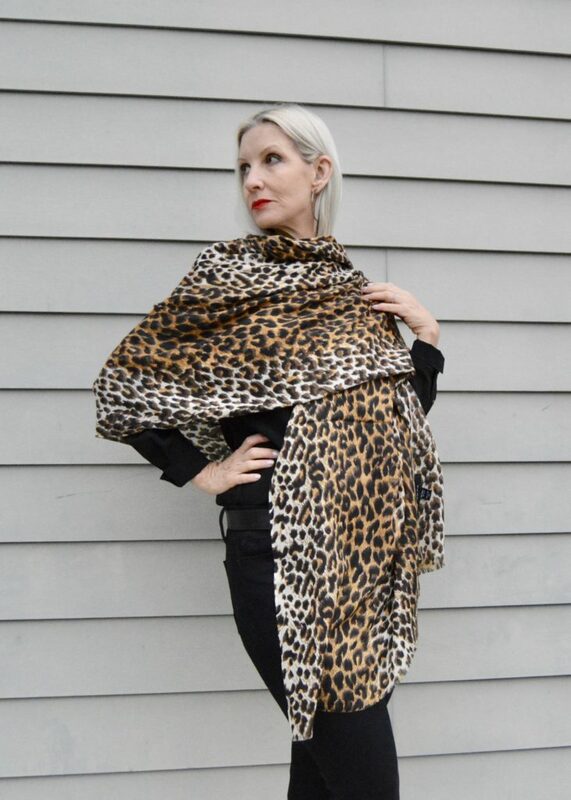 Every wardrobe needs a quality classic leopard print scarf. It’s the print that never ever goes out of style and always looks perfectly chic. This beautiful version has warm caramel, chocolate, and toffee shades, with a hint of sheen. Made of 15% silk and 85% merino wool, it’s a soft classic. At 210 x 75 cm, it can be worn as a scarf, shawl, or sarong. 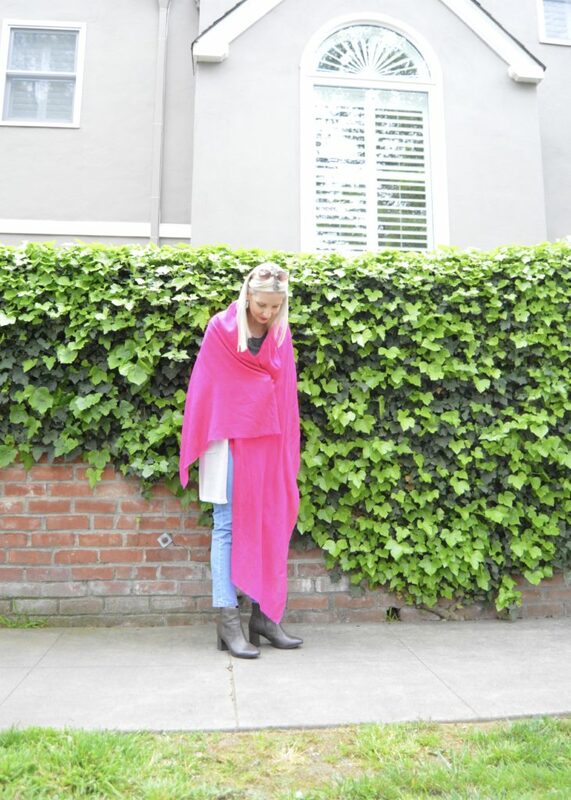 These two scarves in the bright and bold shades of the season are amazing in their ultra softness. Made of 50% cashmere and 50% silk, they look and feel lightweight and heavenly. The 200 x 70 cm size can be draped luxuriously as a scarf or shawl. Prefer the pastel trend? Check out the lovely pastel color choices as well. 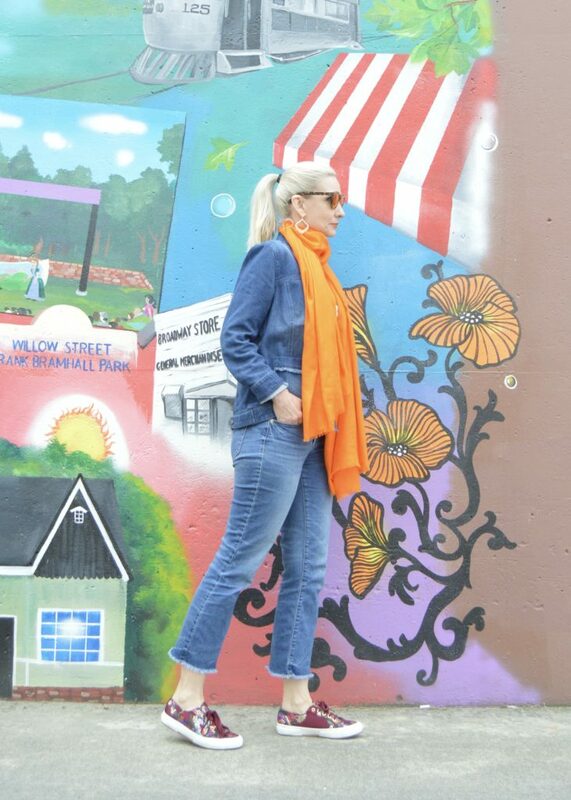 I styled each scarf in a different way to show the versatility, from city chic, to classic feminine, to funky casual. A high-quality gorgeous scarf is always a delight. Delivered wrapped beautifully in a pinstripe dust cover to keep, it would also make a fabulous gift. Hello, Mother’s Day! Which color are you attracted to? Do you like the brights or the pastels? Or the pretty prints? 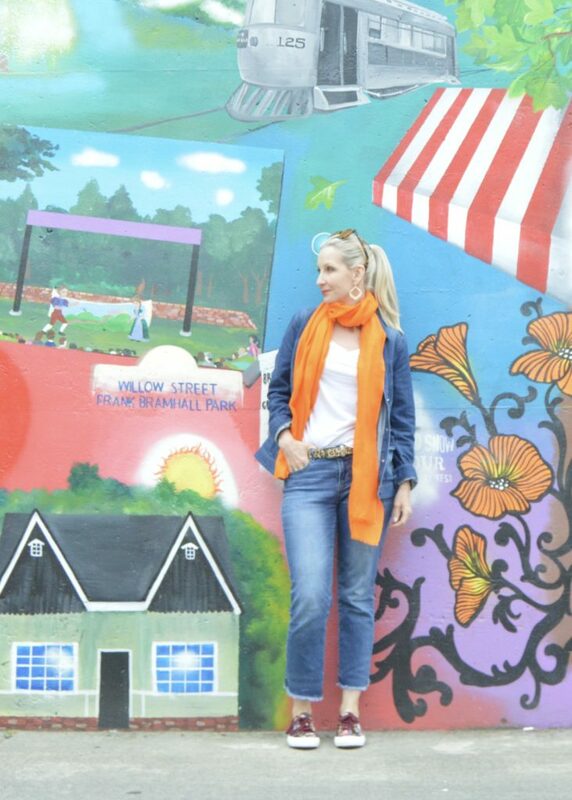 These luxury scarves make a wonderful treat for yourself or the perfect gift for her. Before you go, don’t forget to check out this week’s link up party! Have the very best start to your week, Dolls!